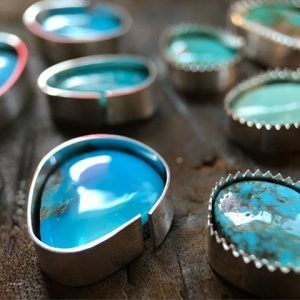 Get started in the basics of jewelry making with this one day workshop, showing you all you need to know about joining metal components to create bezels for stones or glass. Martha Soto has been a silversmith and jeweler for over four decades and has taught at Austin Community College for over 20 years. She has a genuine passion for teaching and helping beginning students form a solid foundation for jewelry fabrication. 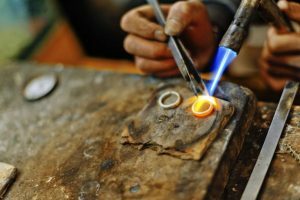 You will learn the basics of metalworking with copper and bronze. Silver will be available for purchase from Martha for a small fee. All Supplies included, ages 17 to adult are welcome.